UCML were asked to coordinate utilities for the redevelopment of a listed building in Chester. 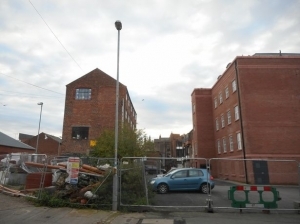 The project off Commonhall Street, close to the city centre, is set to become a block of luxury townhouses. The modern redevelopment plans to utilise electric vehicle charging points. The demand for EV charging is becoming an increasingly popular edition to new residential developments, with individuals opting for a more environmentally friendly solution. UCML have coordinated various residential schemes with EV charging, and understand the increase in demand for such facilities. Following a review of the site, UCML procured competitive quotations for utility connections to the dwellings. UCML also procured diversion quotations for existing telecom infrastructure and provided temporary electricity and water supplies during the construction phase to aid building works on site. During the project, invaluable roman heritage was discovered on site which required protecting. Even though Chester is built within a roman wall, it was still an unexpected surprise. UCML however liaised with the appropriate authorities in regards to protecting the heritage, and provided their bespoke advice.